A well proportioned detached four bedroom family home offering spacious living accommodation throughout. The property has been extended by the current owners and now comprises of a generous living room, an impressive conservatory which overlooks the well established rear garden, a spacious kitchen/diner with vaulted ceiling, utility room, study, master bedroom with en-suite shower room, three further good sized bedrooms, family bathroom and attached double length garage. 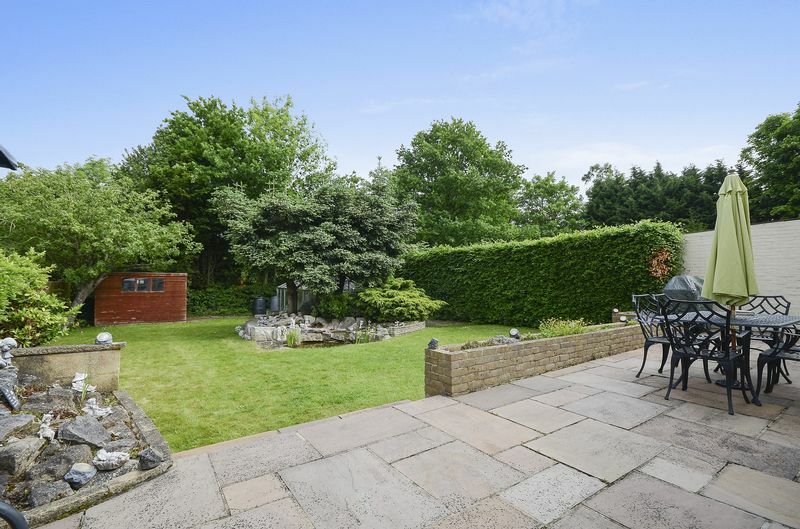 Ideally situated in its own corner plot setting with a full width, brick paved carriage driveway and quite cul-de-sac location. An attractive brick covered porch, original tiled floor and original hardwood front door with two glazed side panels. Outside light. A spacious hallway with doors leading off to all rooms, the hallway retains its original parquet flooring but is currently covered by carpet, radiator. 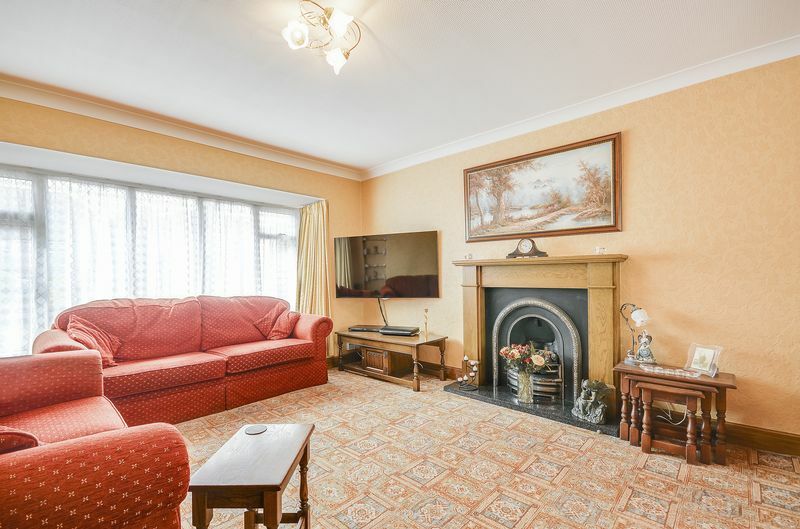 A generous living room with gas feature fireplace and marble hearth, attractive box bay window to front, t.v. point, two radiators and a set of wooden/part glazed French doors which lead into the conservatory. A large and light filled space with a low brick wall and glazing over-looking the rear garden, a set of patio doors lead directly out onto the expansive patio. Radiators, tiled floor, door to garage and door to kitchen. 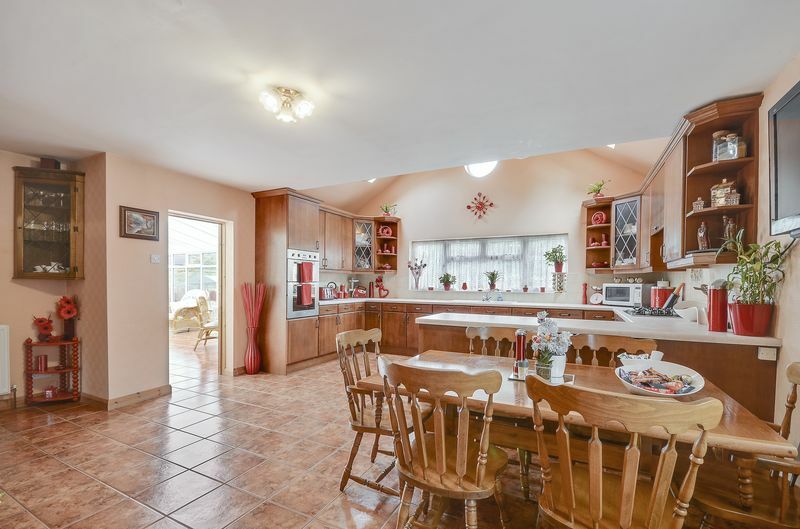 A spacious room with vaulted ceiling and Velux windows, a fully fitted kitchen with a range of wall and base cupboards, breakfast bar, gas hob, integrated dishwasher and double oven. Window to rear aspect and window to side aspect, radiators, t.v. point and tiled floor. Door to utility room and door to hallway. Space for washing machine and tumble dryer, freestanding fridge/freezer, boiler, radiator, tiled floor and external double glazed door to side pathway. W.C, wash-hand basin, fan and tiled floor. Window to front aspect, telephone point, radiator, solid wood flooring, fitted shelving and storage cupboards. A run of straight stairs with split access at the landing, original wood panelling and banister. Window to side aspect, access to loft with fitted/integrated loft ladder, part boarded with power and light. A good sized double bedroom, window to rear aspect, t.v. point, telephone point, door to en-suite. 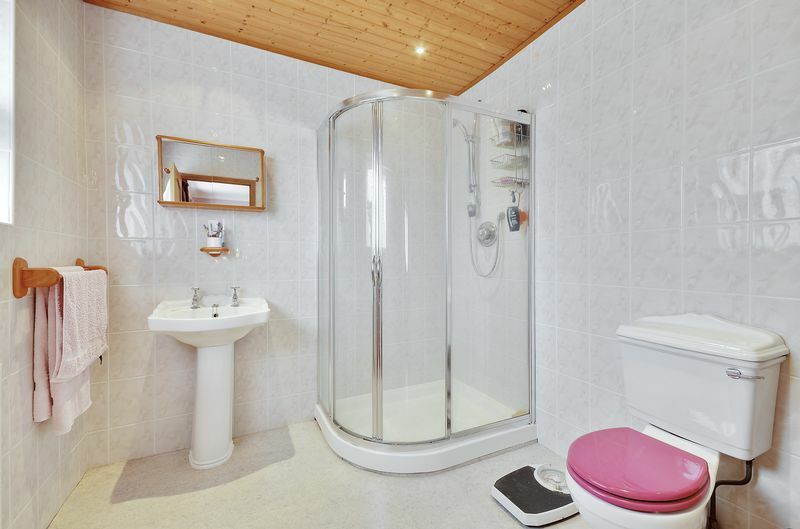 A larger than average ensuite shower room with shower enclosure, w.c, pedestal sink, tiled walls, spotlights, radiator and obscure glazed window. 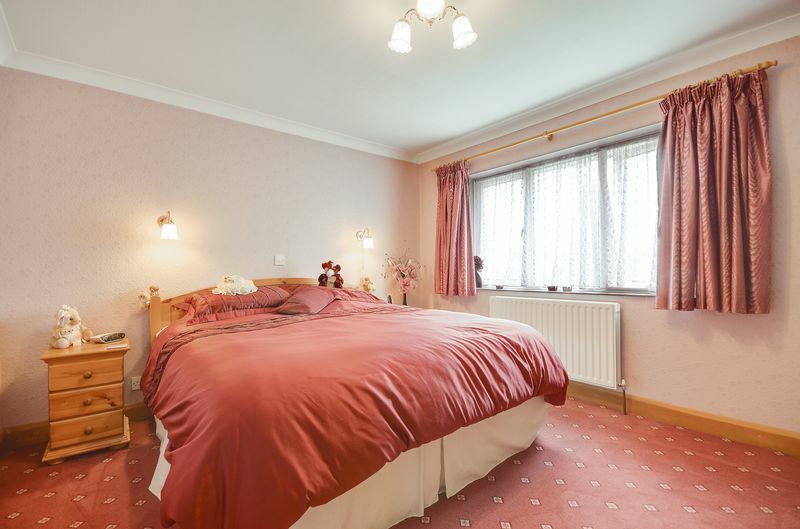 A double bedroom with extra deep fitted wardrobes, two windows to front aspect, telephone point and radiator. 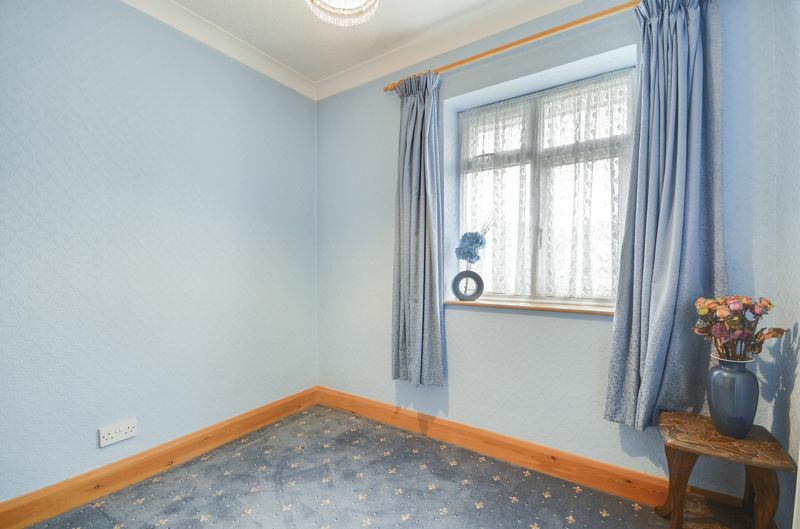 Located on the other side of the landing, a double bedroom with window to rear aspect, telephone point and radiator. 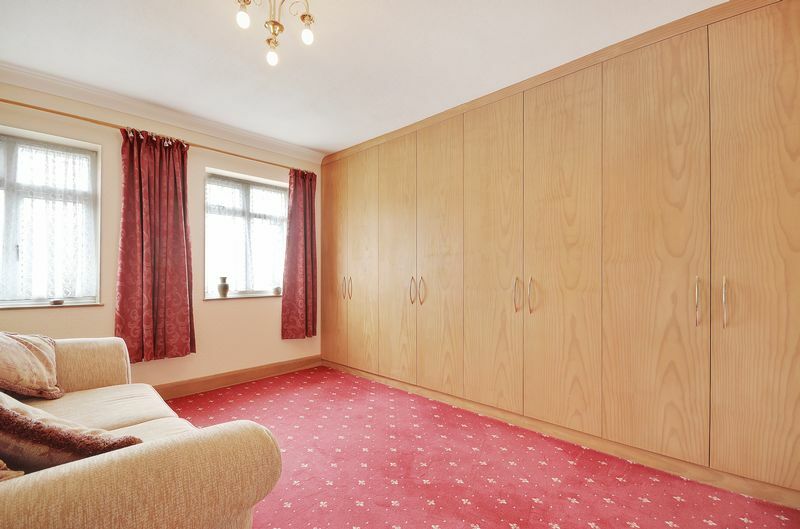 A single bedroom currently used as a dressing room, built in wardrobe, window to front aspect and radiator. 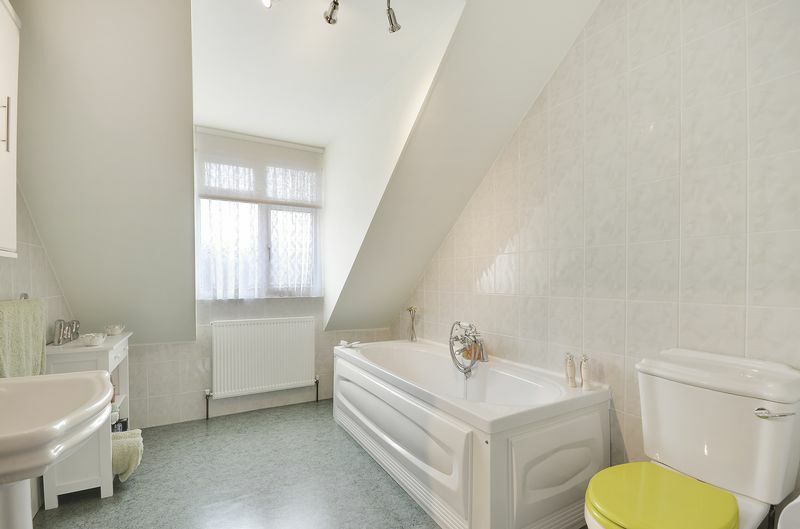 Bath, W.C, pedestal sink, window to front aspect and radiator. 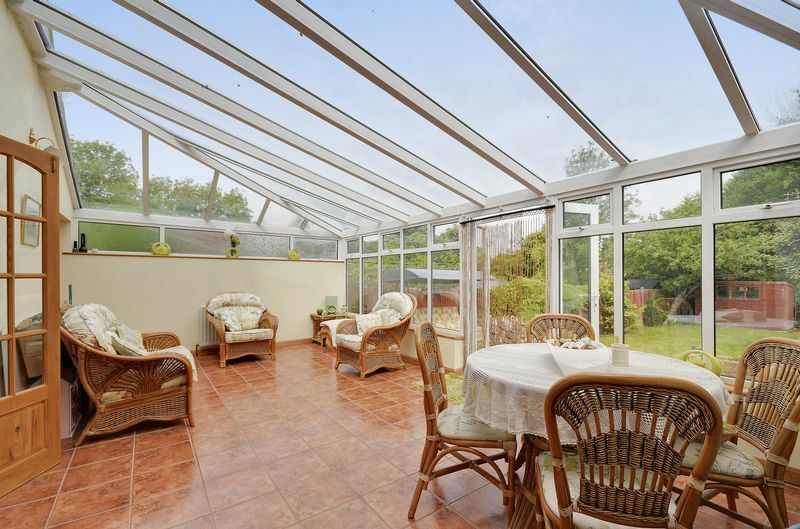 A large patio running the full width of the property with steps leading down into a mainly laid to lawn garden with established shrubs, boarders and rockeries. A pond and water feature are placed centrally, with other features including a large shed, greenhouse, outside tap and lights. An up and over door with power and light, double length with a mezzanine floor for additional storage, fitted storage cupboards and a door leading into the conservatory. 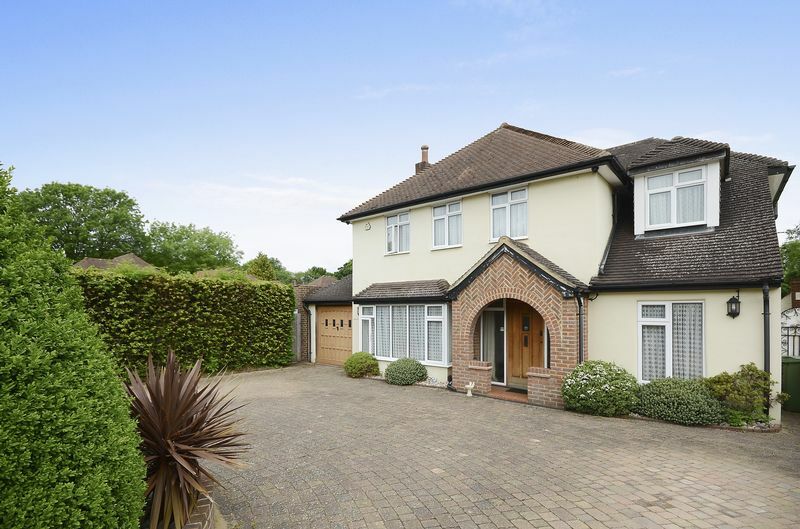 A large brick paved in-and-out carriage driveway providing off-street parking for several vehicles, a boarder with mature shrubs, gated access to the rear garden and outside lights. 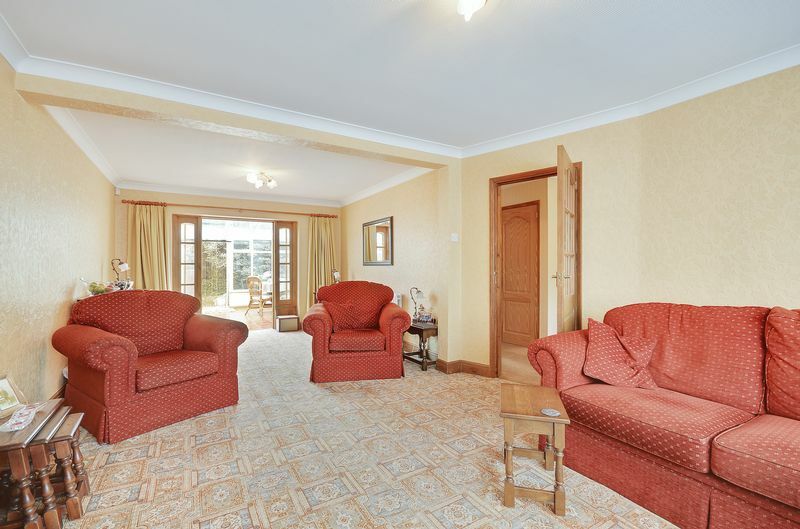 The property also features a multipoint camera CCTV system.